The Microchip picoPower 8-bit AVR RISC-based microcontroller featuring 1KB of ISP Flash, 64-byte EEPROM, 64-byte SRAM, 32-Byte register file, and 4-channel 10-bit A/D converter. The device achieves up to 20 MIPS throughput at 20 MHz at 1.8-5.5 V operation. 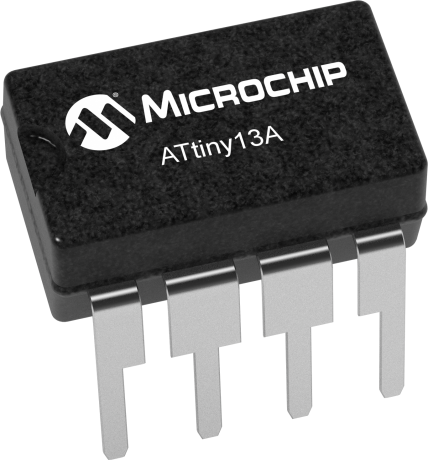 By executing powerful instructions in a single clock cycle, the ATtiny13A achieves throughputs approaching 1 MIPS per MHz allowing you to optimize power consumption versus processing speed.